Rather than expect a free ride to the truth, we should be prepared to pay for quality information or services that add value to our lives. In South Africa, 94% of people can’t afford to retire decently and often that is because they are not being told the truth. Without a forum or media to express the truth, without the Gupta-leaks and the whistle-blowers, South Africa would be in a very different and negative place today. We have seen the impact that false information and fake news can have on presidential elections and national referendums, such as Brexit. We realise that our personal information can be used against us, to influence us in ways that may not be in our best interests. 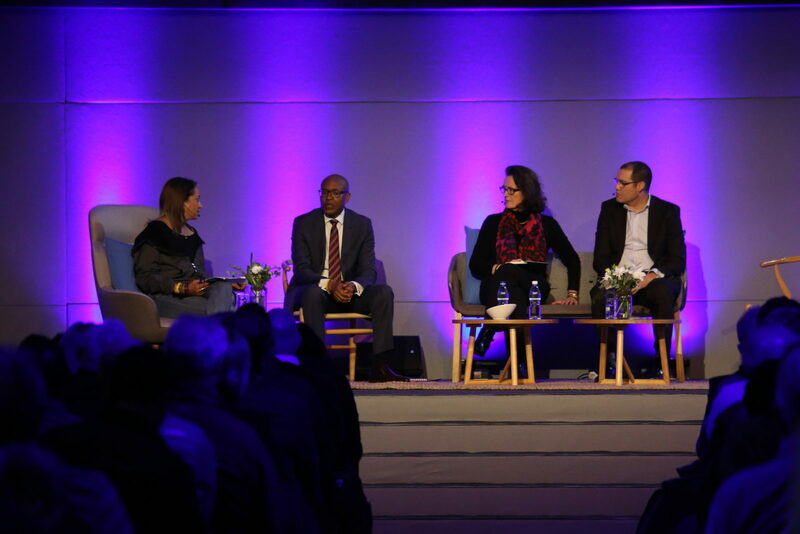 It was against this backdrop that 10X Investments decided to sponsor Daily Maverick’sThe Gathering: Media Edition. When people know the truth they can make informed decisions that are in their best interests. At 10X we want people to know the truth and to make informed decisions about their retirement savings as well as other aspects of their life. Sadly, powerful vested interests use false information, propaganda and myths to promote their own agendas, often to the detriment of society. In the investment industry, a select few companies and people benefit at the expense of hard-working people trying to save for an adequate retirement. They perpetuate myths that have been discredited by empirical data and independent research, such as that fees are unimportant and shouldn’t form part of your investment decision, that active managers can reliably beat the market, or that your broker can reliably select the winning fund. All of this is untrue. High fees are costing South Africans up to 40% of their retirement savings. While the industry charges an average of 3% in fees, 10X charges less than 1% before VAT. The difference compounds over time and means up to 60% more money when it matters most. Purveyors of active funds want you to believe that their high fee is worth it, and that their expertise will get you a higher return than the index or market. It’s not, and it won’t. Though the numbers change every year, roughly 80% of active funds – that’s four out of five – do worse than the index each year. The obvious retort is that you simply need to find one of the funds or fund managers that does manage to beat the market. But, just as stock pickers can’t successfully pick stocks, you can’t pick stock pickers. The ones who do beat the index one year are not the same ones who beat it last year, or will beat it again next year. If it’s hard to beat the index, it’s harder to beat the index consistently. The SPIVA (S&P Indices Versus Active) website shows that of 703 US funds initially in the top quartile, only 146 were still there a year later. Of those, 49 were still there after two years. Thirteen remained after three years and just two were there after four years. That’s right: out of thousands of funds, how many were in the top 25% just four short years in a row? Two. Daily Maverickis an organisation that stands for truth. They are the ones who have been highlighting the truth, telling us what is actually happening in our country. Remember that we are living in a world where the media has been marginalised. The internet provides a free channel to distribute and access information. This can be used for good, or it can be abused. Internet companies have offered great products for “free” and many people now want everything on the internet for free, including their news. Businesses do not exist to provide free goods or services. In some way or another, they must generate revenue to survive and grow. But we don’t always fully appreciate how they generate those revenues, and at what cost to us. The truth may not be free, and free “news” may not be true. Because we perceive the internet as free, people are no longer prepared to pay for quality journalism or investigative journalism that is delivered online. This is an unintended consequence of the “free” internet. We should not be so naïve as to think that free news or services are always best for us. We should question who is really paying for this content, what is their agenda, and can we trust it? Rather than expect a free ride to the truth, we should be prepared to pay for quality information or services that add value to our lives. At 10X, we see Daily Maverickas a very important institution in our country. Daily Maverick is committed to the truth and has an excellent track record of uncovering the truth, which has benefited the majority of South Africans, no matter their race, income level or political affiliation.